The Beech tree is native to Britain and was disseminated outward to many of the Scandinavian countries as well as America. It has found uses as a reliable firewood, and source of plywood. Tar extracts from Beech sap are also efficacious in clearing up skin conditions such as psoriasis. This species of tree is tall, willowy, and possesses beautiful foliage. This combined with the tasty beechnuts that the tree produces in abundance in late summer make this a highly valued ornamental tree. These leaves have become a great selling point of the tree and have been included in many holiday traditions and decorations. Preserved Beech leaves were, in the past, used to fashion wreathes and figures similar to Native American corn dolls to celebrate the end of the harvest season. Unfortunately Beech leaves die and fall off the tree in very early fall, so in order for them to be used for decorative purposes, they must be harvested early and preserved for later use. This guide will explain how to do so. 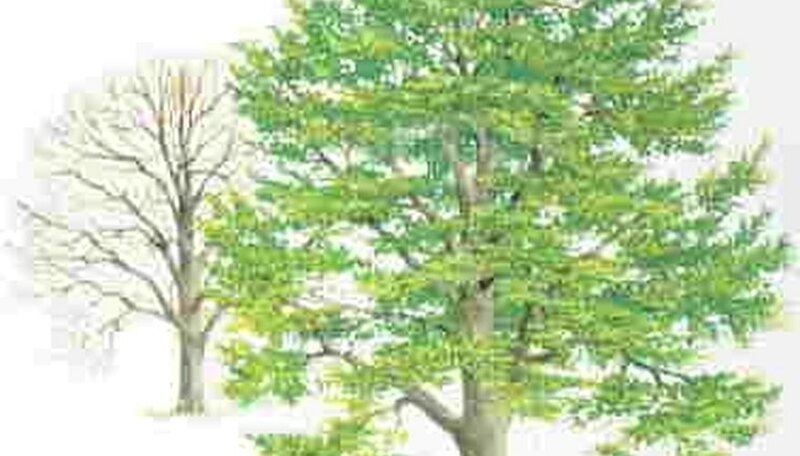 First decide when to harvest the Beech leaves depending on what color you want them to be. They will be a light gold in late spring, tan in early summer, and dark brown by late summer. When harvesting them, make sure to only get whole leaves and break off the leaves at the main junction with the branch. In doing so you do not damage the capillary system of the stems or the leaves. Beech leaves grow in large bunches all connecting to a central stem before the junction with the branch, by breaking one of these off you will have a whole group, or spray, of leaves. Take the leaf sprays indoor and set them aside. Fill a large, wide-mouthed jug with the boiling water and glycerin. Use a sharp knife to trim the minor branch that you broke off which connects to each of the leaf stems. Strip the bark and score the heartwood slightly, but do not damage the stems of the leaves themselves. Place the leaf sprays, stem down, into the jug. Try to stand the sprays up against one another so that only the stems are submerged. Leave the leaves until the next day. Remove the leaf sprays from the mixture once the undersides of the leaves are thick and oily to the touch. This means that the leaves have sucked up the water and glycerin, which will preserve them for several months. Lay the leaf sprays on some newspapers to dry for the better part of a day before placing them in an empty vase. Leave them there until you are ready to make use of them.